SALLY BLIUMIS-DUNN teaches Modern Poetry at Manhattanville College. She received her MFA in Poetry from Sarah Lawrence e in 2002. Her poems have appeared in Bellevue Literary Review, New Ohio Review, the NYT, Paris Review, PBS NewsHour, PLUME, Poetry London, Prairie Schooner, The Writer’s Almanac and The Academy of American Poets’ Poem-a-day, among others. Her books, Talking Underwater and Second Skin were published by Wind Publications in 2007 and 2010, respectively. Her latest book, Echolocation, was published in 2018 with Plume Editions. In 2002, she was a finalist for the Nimrod/Hardman Pablo Neruda Prize. In 2008, she was invited to read at the “Love Poems Program” at the Library of Congress. More available on Sally at: http://terrain.org/2013/poetry/two-poems-by-sally-bliumis-dunn, on Academy of American Poets, Writer’s Almanac, From the Fishouse.org, on PBS News Hour Weekly Poem, and Rattle. 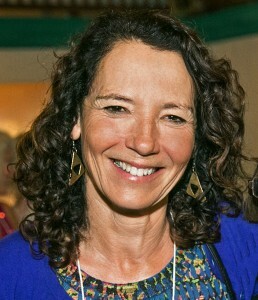 Find out more about Sally Bliumis-Dunn at http://www.sallybliumisdunn.com.